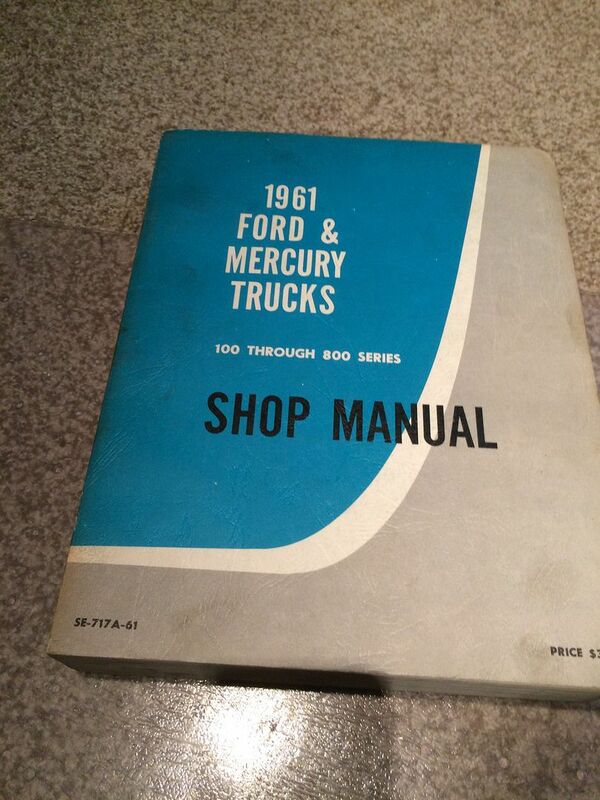 So I have discovered that my new purchase (61 F100 stepside 233 six, three on the tree) has a bent drive shaft. I'm guessing that is what has caused my newest problem, rear end leaking oil (bad). Looks like it is coming from where the yoke goes into the rear end, My question what is the problem and how do I fix the leak? Also are any other year Ford pickup drive shafts interchangeable with mine? There is a pinion seal where the yoke sleeve goes through the housing and connects to the drive pinion. The seal is likely part or all of the source of the leak. To replace it you will need to pull the drive shaft (replace it since it is bent) and then there is a center nut holding the yoke flange on. 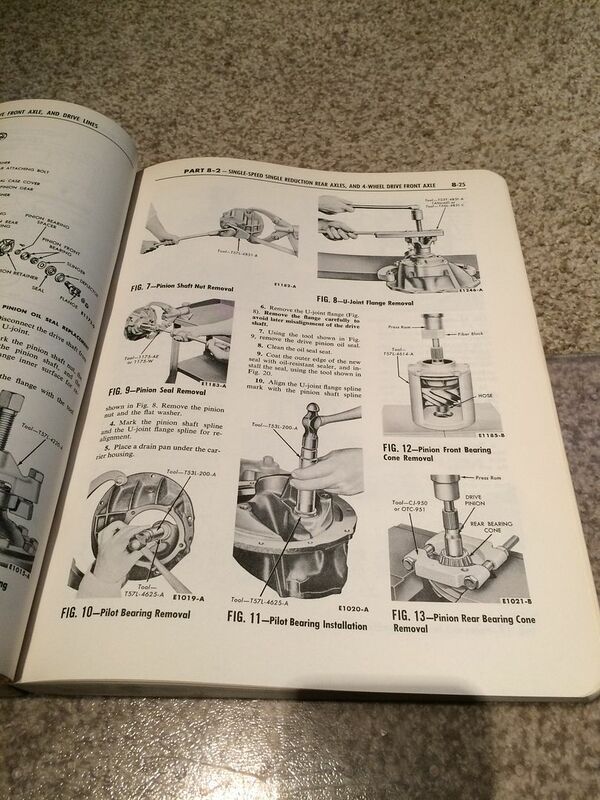 You'll have to hold the yoke from turning while you remove the nut. They are very tight to get off since they are a high torque nut. Once you remove the nut and pull the yoke out then you can get a seal puller or small pry behind the seal and pop it out. Since the drive shaft is bent I'd also inspect the yoke closely since a bent yoke will ruin a new seal. But, tap a new seal in and replace the yoke and nut. Hopefully nothing inside the differential got bent in the process of the drive shaft bending. Where can I get that shop manual? Make sure you get one that covers 100 - 800 - some of them start at 850 and go up from there, which wouldn't be what you would want, of course. Great information guys!!! 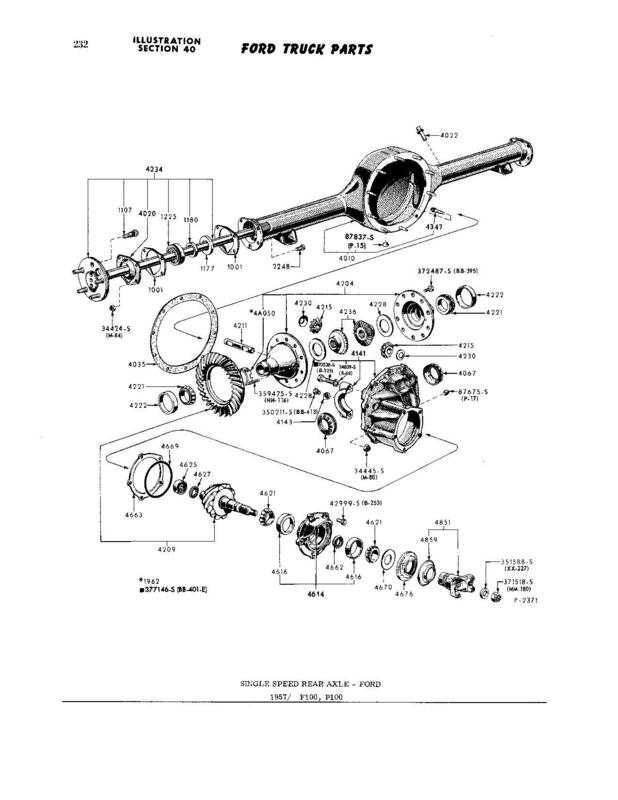 Ill be ordering shop a manual today....Any thoughts on a replacement drive shaft. I think I have found someone local that makes them but I haven't talked to him yet. I thought there might be another year that would be interchangeable. F450 rear end - Dana 80, F350 Rear end - Dana 80? Is there a difference between 4x4 rear end and 4x2 rear end?